Just like at the dawn of every new baseball season, where hope springs eternal among every team that this will be the year, comfort brands put together seasonal lineups with equal thought, talent evaluation and analytical projections, with an overall goal of a competitive, winning lineup and a few home run styles that make for a memorable season. With that goal in mind, here’s a list of styles that leading shoe sabermetric specialists project will knock it out of the park this fall. It’s a lineup featuring a mix of proven (updated) veterans and rookie-of-the-year candidates. Each possesses the necessary tools—style, comfort and versatility—to be winners. 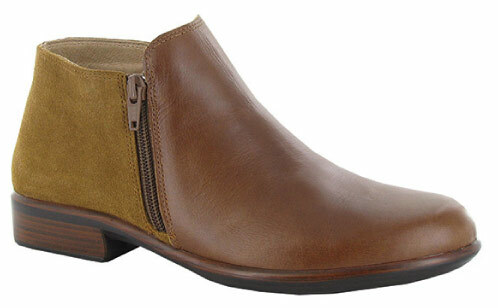 Stats: It’s all in the details—namely ruched, glove-soft leather uppers and a stylish side-zip give this shoetie everyday fashion playability. And the interiors are just as mindful: Premium leather insoles feature reinforced arch support, multi-density latex cushioning and an Earth Relief Pod for added shock absorption. Available in black, garnet or taupe (shown). 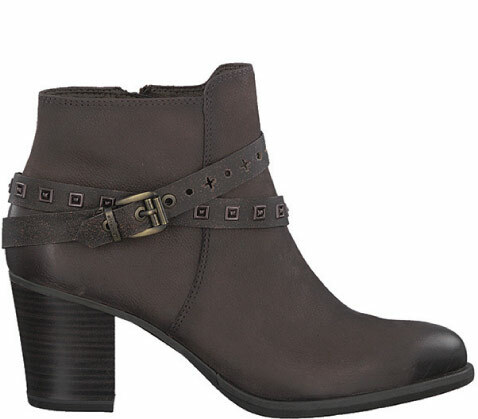 Stats: This bootie may look understated, but the inside has MVP-type features and benefits. Part of Naot’s Aura collection, the Helm features a removable cork and latex leather-wrapped footbed, made with strobel technology to form to the wearer’s foot shape. 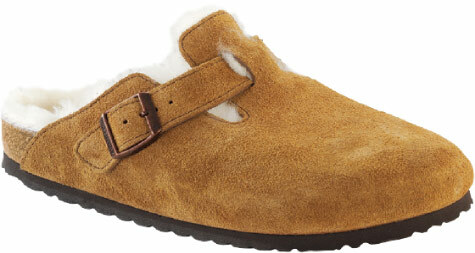 A padded heel cup and instep up the comfort ante while a padded lining provides warmth and moisture absorption. A 1.5-inch polyurethane outsole features a metal shank and is lightweight, durable and abrasive to prevent slipping. 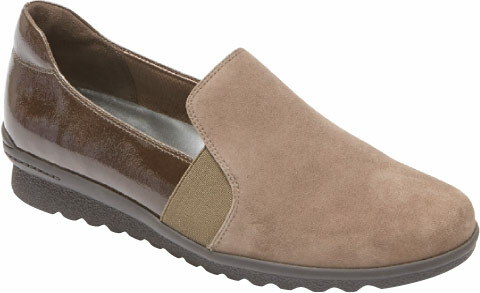 Five color combinations feature mixed-material leather and suede. Stats: All of the brand’s proprietary technology—like ANTIshokk heels that reduce step-by-step impact to relieve the wearer’s spinal column and TOUCHit soft insole cushioning that contours to body weight and foot positioning—are packaged into this fashion-forward bootie. Hand-finished Nubuck leather is met with soft velvet lining and crisscrossed decorative straps decorated with perforation and hardware, available in a black and cigar colorway. All-Star Qualities: “It stands out with stunning appearance that fits into the continuing short boot trend,” says Jan Brinkmann, president, Tamaris USA. Stats: Like every Birkenstock style, the Boston Shearling clog contains the ergonomic benefits of the brand’s proprietary cork footbed. Plus, the clog’s comfort is enhanced with the coziness of plush shearling lining, making this the “must-have Birkenstock that consumers will want next,” assures Jacqueline Van Dine, vice president of marketing. The style is crafted from suede and shearling and comes in tone-on-tone mocha and black as well as a whimsical mink/natural color combination. Stats: Lots of technical comfort features and benefits are wrapped up in this stylish heavy hitter by Aetrex. The Mia contains an ultra-light cork midsole, leather upper, adjustable strap and leather-wrapped heel at a comfortable 2.25 inches height. It also contains the Aetrex Healthy 3: Lynco orthotic footbed for support and alignment, memory foam cushioning and anti-microbial technology to combat odors. All-Star Qualities: The trendy Mary Jane design can be dressed up or down, notes Product Manager Maggie Baumann, adding that the transitional style can be worn year-round. “The multi-color braid detail on the shoe gives it a pop of color and a fun detail,” she adds. 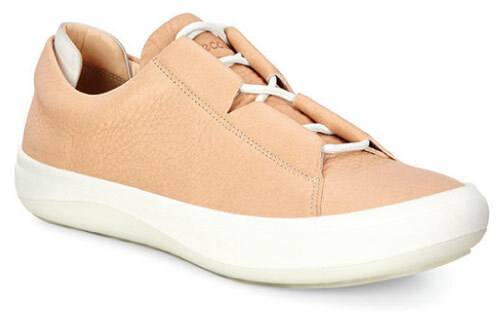 Stats: A dressed-up alternative to athleisure, the Chenole’s sleek, mixed-material upper is met by an ultra-flexible outsole, designed with a thin EVA platform. “The outsole is designed to promote flexibility and underfoot cushioning,” affirms Sally Murphy, senior director, women’s design. “Meanwhile, the interior spine provides stability and motion control.” TruFlex also contains a molded anatomic footbed with a premium leather sockliner for additional support and all-day comfort. 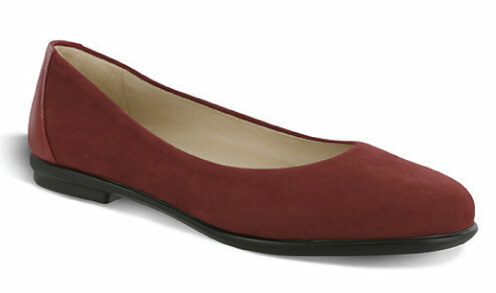 The patent-and-suede style is available in black, merlot and olive. All-Star Qualities: “Women today want the underfoot comfort of a sneaker with the trendy appeal of fashion,” Murphy says, noting that the Chenole offers both. Stats: This perennial bestseller for men and women gets a fall makeover with a newly designed slip-resistant outsole, firm heel counter, removable footbed (so shoes can be worn with or without orthotics) and a stretch neoprene gore sock-liner. Scotchgard-treated suede uppers are machine washable with a brushed-nylon lining while EVA midsoles offer optimum arch support and durability. Available in an array of suede colorways, Director of Marketing Jennifer Sosko reports this Pewter hue is already a key part of many retail lineups. All-Star Qualities: “This shoe is now both washable and slip-resistant—perfect for this category,” Sosko says. 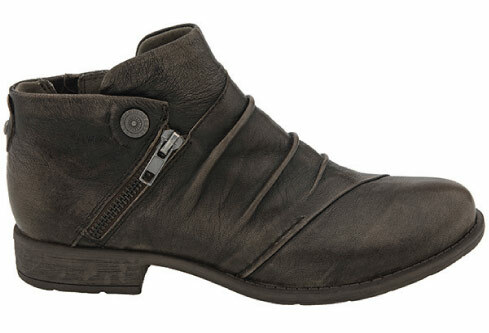 Stats: Part of a new ergonomic work line by Easy Street, the Easy Works Appreciate combines the brand’s on-trend fashion capabilities with the technical comfort aspects needed for those on their feet all day. 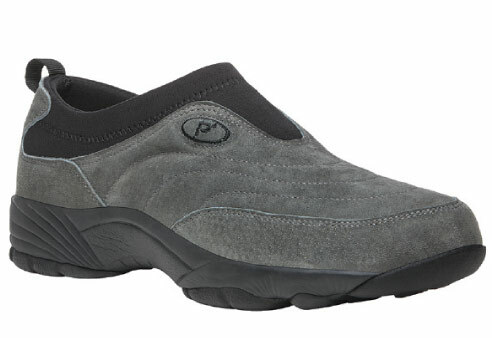 Slip-resistant outsoles are met with oil-resistant uppers that are anti-microbial and breathable. The brand’s new exclusive technology—the Easy Motion Pro-Comfort system—includes impact-absorbing arch support, a suede heel-cup footbed and an anti-shock EVA outsole. 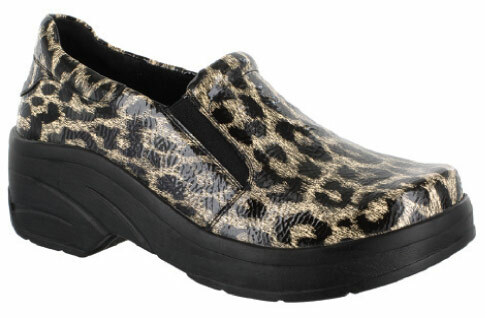 The style is available in seven colors detailed in various materials, including this bold cheetah print. All-Star Qualities: “The unique factor, as with every Easy Street style,” states President Keith Gossett, adding that being available in 35 sizes (spanning medium, wide and wide-wide) enables retailers to fit just about any customer.